Want to grill burgers, smoke a brisket or sear a juicy filet? 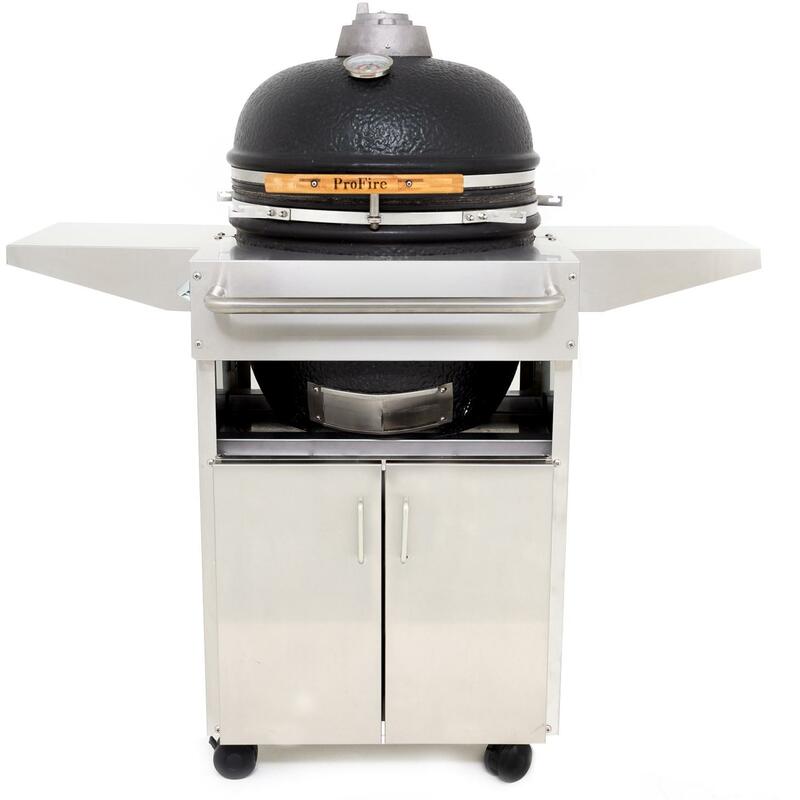 The ProFire Bravo Kamado Grill has the flexibility to do it all. 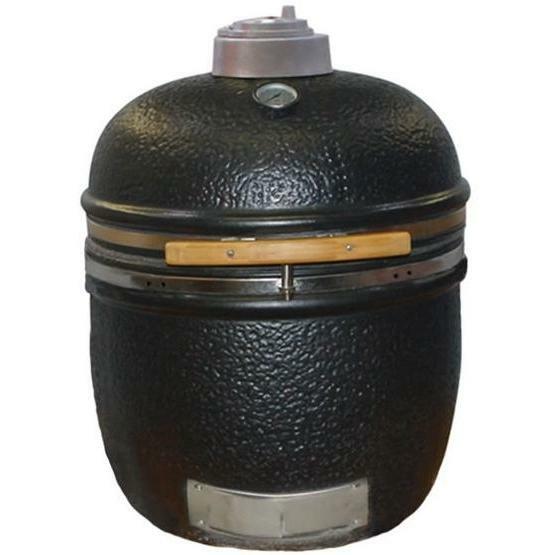 This kamado grill is constructed with 1-inch thick, porous ceramic which holds in heat and keeps moisture in the food, producing juicy, tender food with true charcoal flavor. The grill features a 304-grade stainless steel cooking grid with a hinge for easy adding of charcoal or wood while cooking. Monitor the temperature using the easy to read built-in thermometer and control the airflow and temperature with the stainless steel bottom vent, or use the cast aluminum top vent to dial in more precise temperatures. The lid has a shock absorber which protects the grill by softening the closure of the lid, and the fire grate is made from cast iron for durability and heat retention. The lid hinge and band around the grill is made of stainless steel which adds durability and a stylish look. The grill features a weather-resistant, eco-friendly bamboo handle and comes fully assembled and ready for cooking!